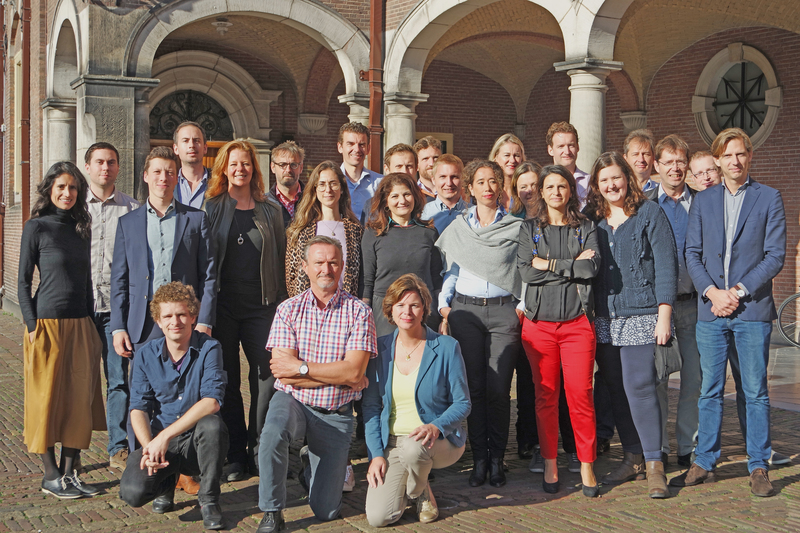 NIMD is headquartered in The Hague, The Netherlands, where a focused team of around 25 people is based. NIMD also has several country offices, which function as implementing partners for country programmes and have local staff members. Currently, NIMD has country offices in Colombia, Ecuador, El Salvador, Guatemala, Honduras, Myanmar, and Uganda. The staff in The Hague is divided into three teams. These are: Team Programmes & Projects (P&P), Team Knowledge & Strategic Relations (K&S), and Team Finance & Support (F&S). The Management Team consists of Thijs Berman, Karijn de Jong, Wouter Dol and Harrie Dijkstra. Thijs Berman is the Executive Director of NIMD. HE is responsible for NIMD's overall strategy, vision, and focus to further grow as the leading organization on political party assistance. The management team also carries out all Executive Board functions. The Programmes & Projects team is responsible for the strategy, design, and implementation of all the NIMD programmes in the countries. Since local ownership is an important guiding principle within NIMD, the programmes are designed and implemented together with local partners in the countries. The team in The Hague makes sure that policy priorities are incorporated in the programmes and focuses on the overall coordination. Together with the partners, they also do in-country and, where relevant, regional fundraising. In addition to country programmes, the team is also responsible for the acquisition and management of short-term projects. This team is managed by Karijn de Jong. The Knowledge & Strategic Relations team is responsible for knowledge development, external positioning, and organization-wide fundraising. Being practitioners, it is important to be able to apply our approach in different political contexts and to continuously learn and increase the impact of our work. The Knowledge & Strategic Relations team supports this by expanding the NIMD knowledge base, developing tools, piloting innovative political party assistance approaches, and communicating this to NIMD's stakeholders. This team is managed by Wouter Dol. The Finance & Support team ensures internal control, risk management, and quality processes, and is responsible for the financial accountability of NIMD. The team is also responsible for Human Resources and Office Facility Management. This team is managed by Harrie Dijkstra.